Yes, not only is California the most populous state, but it benefits the most financially from the Defense Department. In 2017, the Golden State brought home $49 billion in total defense spending. California also brought in the most contract spending at $35.2 billion of the $49 billion. That doesn’t mean California’s economy is dependent on DoD, however. Defense spending only accounts for 1.7 percent on the state’s gross domestic product. 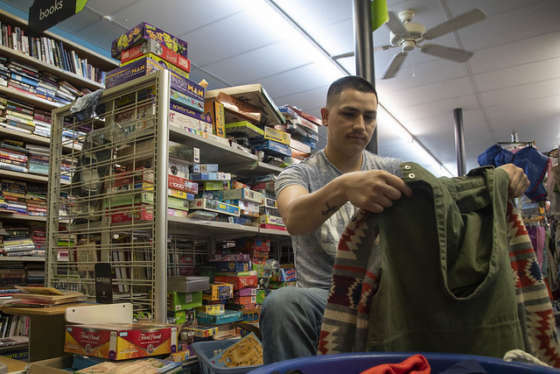 That’s a far cry from the nation’s most defense-dependent state, Virginia, where 8.9 percent of the state’s GDP is caught up in defense-related funding. Virginia came in second place for grabbing the most defense spending with $46.2 billion. Fairfax County alone brought in $13.7 billion from DoD. Other states rounding out the top ten for the most defense spending in order include Texas at number three then Maryland, Florida, Washington, Connecticut, Georgia, Pennsylvania and Alabama. 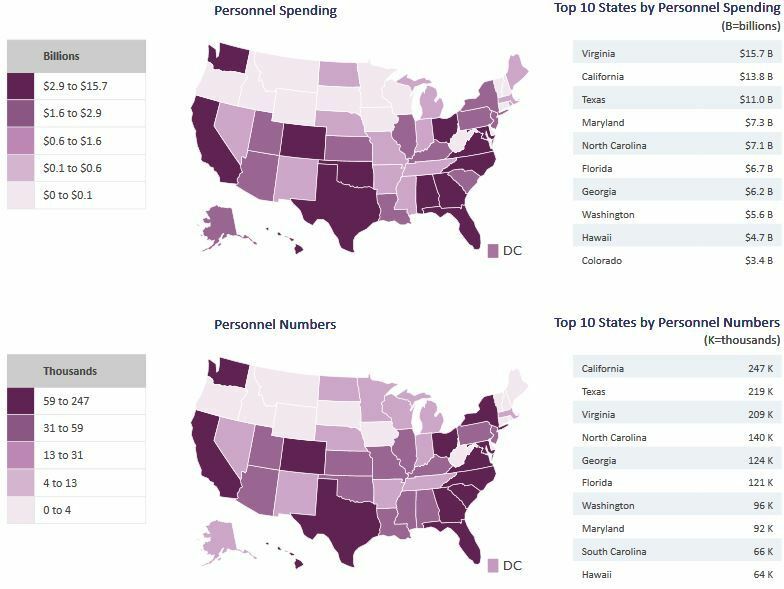 With the exception of Washington, the Northwest quadrant doesn’t see much spending from DoD compared to the other states. Oregon, Idaho, Wyoming, Montana, South Dakota and Nebraska all had less than $400 million each in defense funding come their way. A couple of other states outside of the Northwest quarter of the nation that also saw low spending: Iowa, Delaware, Vermont, West Virginia, Maine and Minnesota. Extremely rural areas just haven’t gotten the investment from DoD like other states. That may be because of the lack of defense-critical businesses based there or also because there just aren’t a lot of bases in those states. 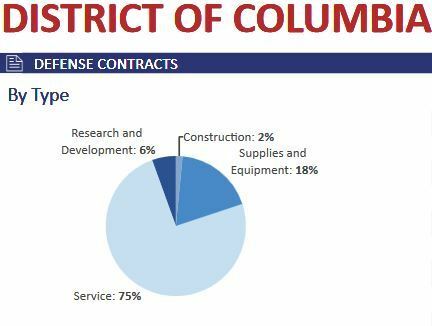 For Washington, 2017 was full of service contracts. 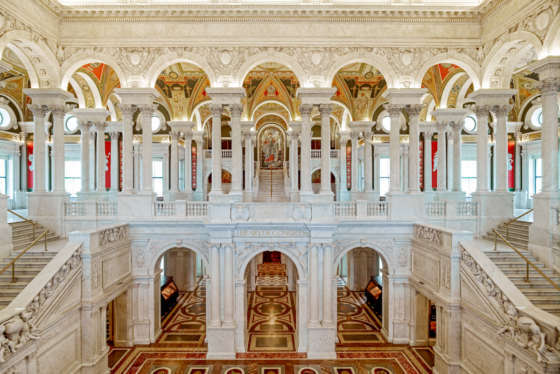 The district saw $3.7 billion in contract spending that year and 75 percent of it went to service contracts. Some of the main winners of those contracts were Booz Allen Hamilton, CRSA, Hewlett-Packard, the RAND Corporation, CACI and General Dynamics. Unsurprisingly, DoD also paid out $2.4 billion in payroll to DoD personnel in Washington. DoD employed 25,225 people in 2017 in D.C. Nearly 13,000 were civilian, almost 8,000 were active duty military and the rest were Guard and Reserve. 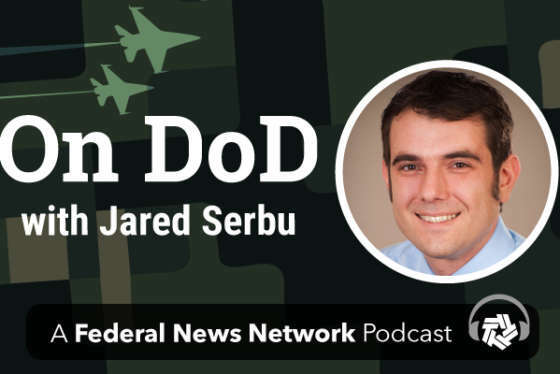 The Defense Department spent $135.3 billion on personnel in 2017. More than half of that went to 10 states and it’s just the states you’d expect. States with bases and huge military hubs got the most personnel spending. Virginia, which has a heavy military installations presence, got the most in personnel spending with $15.7 billion. Not far behind was California, which housed the most military personnel at 247,000, with $13.8 billion. Texas came in third with $11 billion, followed by Maryland, North Carolina, Florida, Georgia, Washington, Hawaii and Colorado.